This is a special resource page for Affiliate Partners of Mari Smith. ALREADY AN AFFILIATE? LOG IN here for your unique tracking links. NOT YET AN AFFILIATE Partner with Mari? Go sign up here! Be sure to get your tracking link first. View the sales page for the FAST program here. PLEASE NOTE: If you purchase your own ticket for any Mari Smith product/course using your own affiliate link, your commission for that sale will be voided. We appreciate that this sometimes happens inadvertently due to cookies. Commissions will be paid on all sales from your referrals, just not your own. Thank you for understanding! Please visit this folder in Dropbox with numerous videos in various formats + graphics that you can use in your promotions. Or, if easier, you’re welcome to download this video (that appears on the FASTfb sales page) from Vimeo and use in your promotions. NOTE: These tweets are designed to give you ideas for what to say. We highly recommend that you craft your own versions, mix them up often, and add media (GIFs, images, videos) as you wish. This helps to increase your retweet rate as there is space for your follower’s user name and possibly a short comment. Also, please be mindful of not over-tweeting — if you push more than two tweets out a day with the same offer, your followers will quickly get irritated. NEW Facebook marketing training course with @marismith [insert your affiliate link] – get LIVE coaching to help build your business with video! Take a look at this NEW Facebook video marketing course with top Facebook expert, @marismith [insert your affiliate link]. 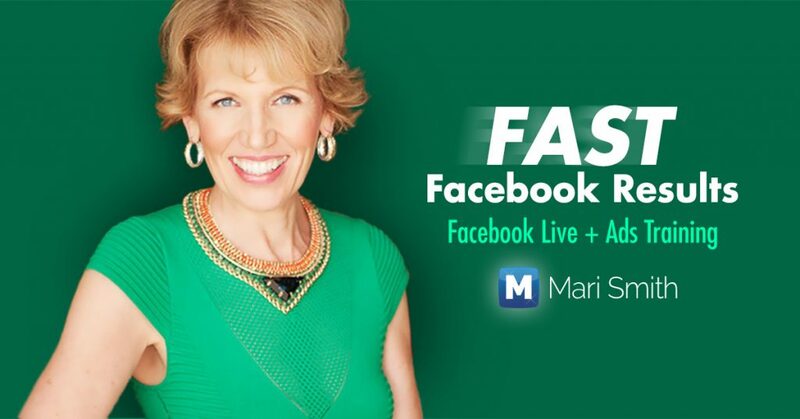 Take advantage of Facebook video + a massive global audience: [insert your affiliate link] – @marismith shows you how! Any of the above draft tweets can also be used on Facebook. You are welcome to add tags on Facebook for my page @marismith and/or my profile @maris. Examples below – edit and embellish as you wish to add your own touch! 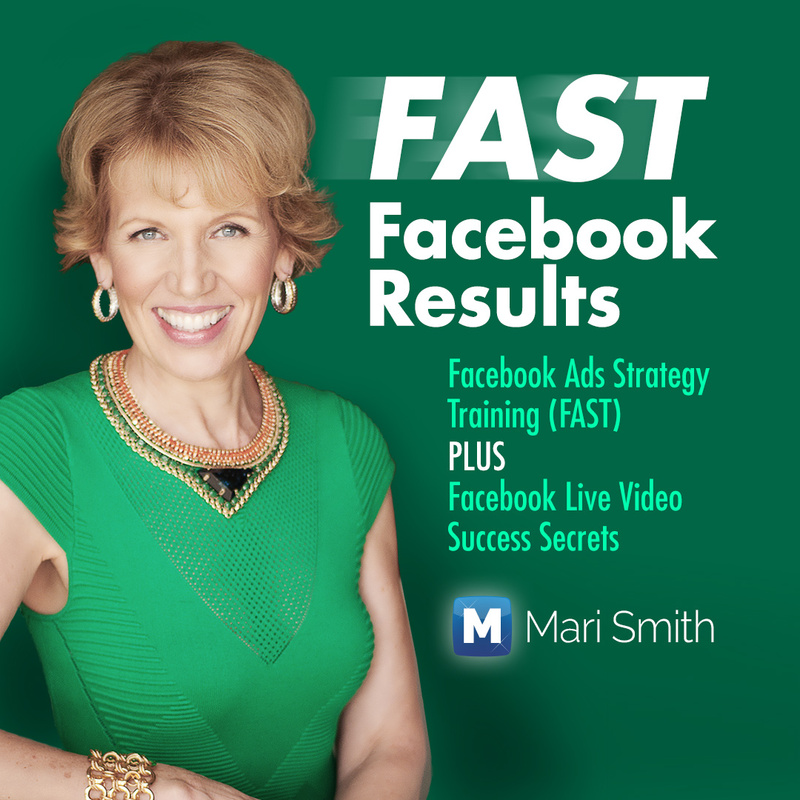 NEW Facebook marketing training course with my friend Mari Smith [insert your affiliate link] – get LIVE coaching to help build your business using a power combo of VOD (video on demand) + Facebook Live + proven organic and paid methods. Is your Facebook marketing working for you? Would you like to learn how to increase your reach, results and revenue? I recently joined Mari’s FAST Facebook Results Program and wanted to invite you to join me as well so we can go through the program together. Facebook is focusing aggressively on a VIDEO FIRST approach for the platform, ultimately competing in the digital streaming television space alongside Netflix, Amazon Prime, Hulu and YouTube. BUT, most businesses struggle to properly integrate, optimize and monetize VIDEO in their content marketing efforts. Savvy marketers need to gear up for establishing their video content marketing strategy and video ad strategy. Create top quality video content that easily attracts people who love you, and love to BUY from you! Apply Mari’s proven Facebook video marketing methodology that consistently generates quality LEADS, SALES and PROFITS! Demystify Facebook ads and learn how to INCREASE your organic reach and conversions and DECREASE your costs! In her FAST FB course, Mari guides us through her recommended step-by-step process for generating more leads and sales using video on Facebook. Both video on demand (VOD) plus Facebook Live offer a tremendously affordable customer acquisition process for small and medium size businesses. Mari shows us exactly how in her FAST FB training. Come check it out and join me! There are three levels from which to choose (self-study, live coaching, and VIP with 1:1 support). Each level has a 3-payment plan, making it super easy and affordable. I look forward to growing on Facebook with you!